Since moving to Edinburgh, I’ve been fortunate enough to try my fair share of restaurants in the city. 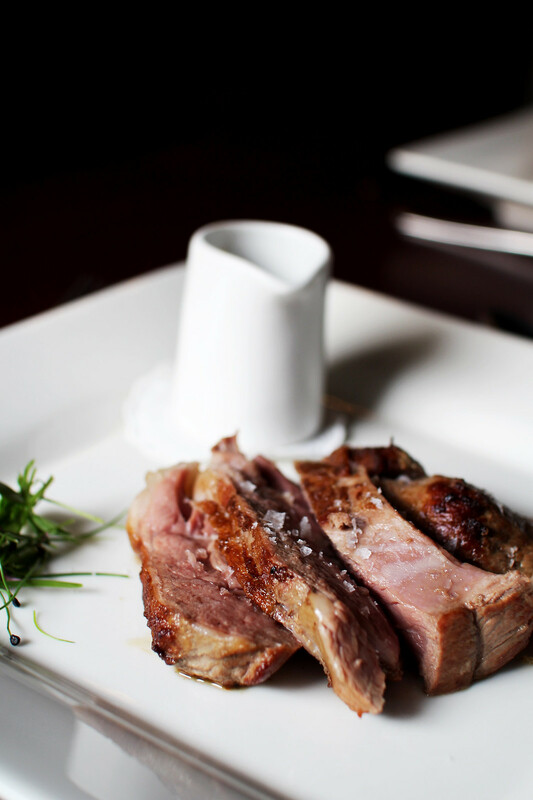 Edinburgh is a gem for great food, with several Michelin star restaurants. With that in mind, it comes as no surprise that there’s lots to compete with here. I was invited to review No. 11 Brasserie, a boutique hotel just off from Elm Row. Living in Leith for a year it was an area familiar to me, but not somewhere I had previously visited. Although No. 11 is part of a hotel, the restaurant felt accessible to all. 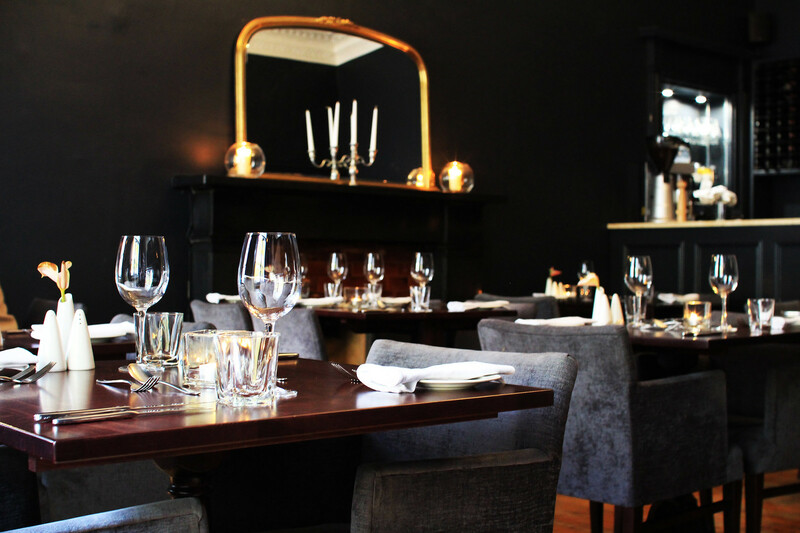 With elegant dark grey walls and a cosy intimate setting, the restaurant felt very welcoming. The setting was relatively small but added to the cosiness of it all. It all felt wonderfully relaxing and a great way to start the weekend. Joined by my friend Lauren, we settled down for lunch and tried to work out what we were going to order. With everything sounding amazing, we finally settled on our choices. 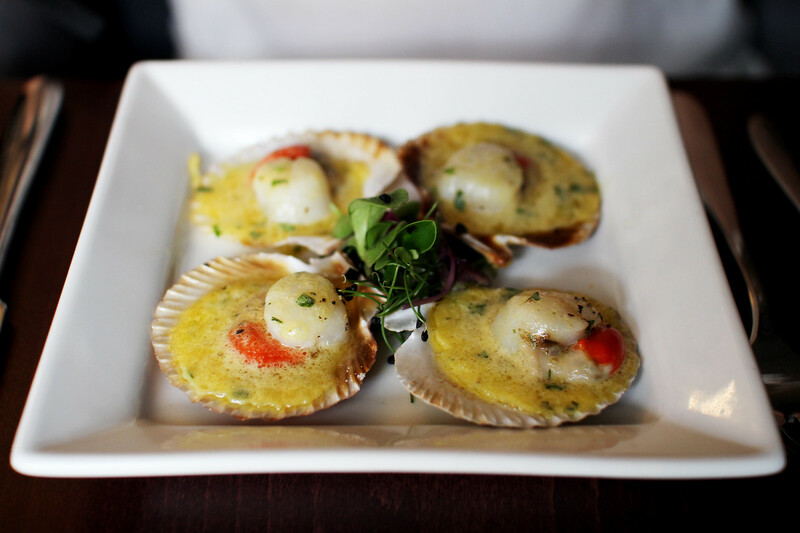 With three courses for £25 between mid-day and 6:30pm, including both appetiser and dessert. The value was great, especially compared to other restaurants in the city. 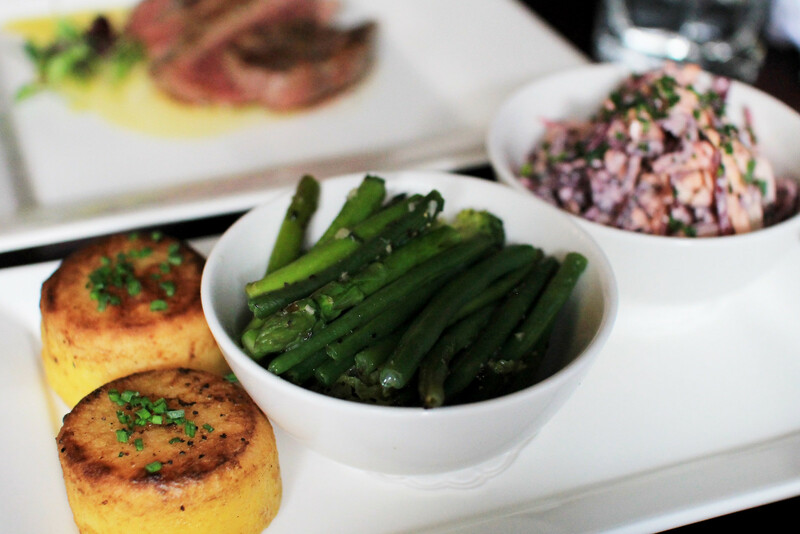 The menu offers a combination choice of mains and sides, with appetisers and desserts separate. 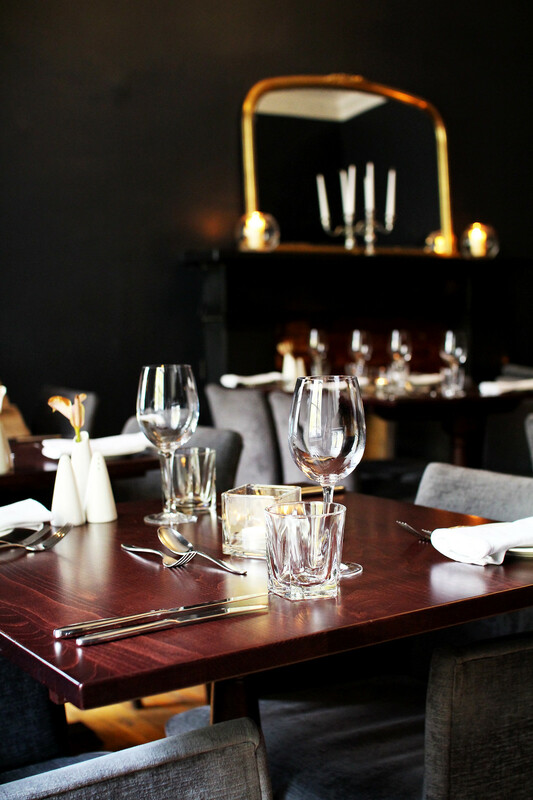 Start by selecting your menu option; lite bites, 2 or 3 course fixed menu, 5 course tasting menu or A la carte. Select your main and add sauces and sides to suit. Lauren decided on the grilled queen scallops with brenaise sauce for starters. 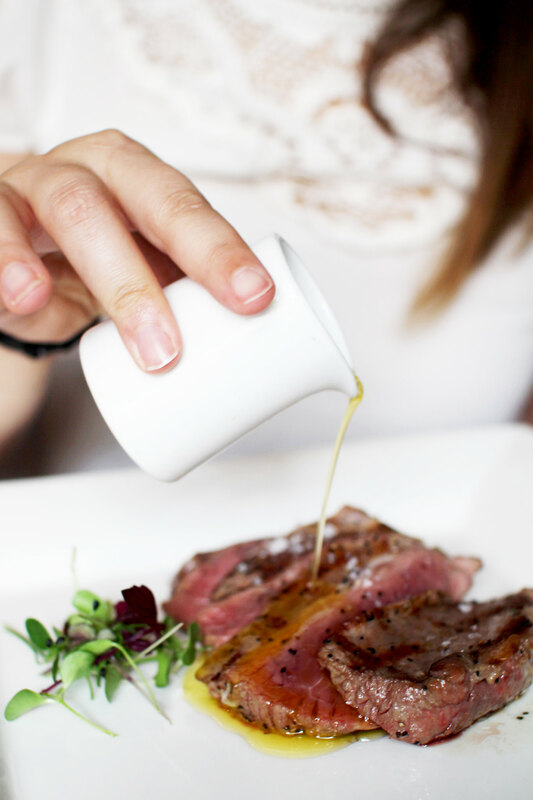 With the venison steak as her mains, served with a lemon and herb butter sauce. 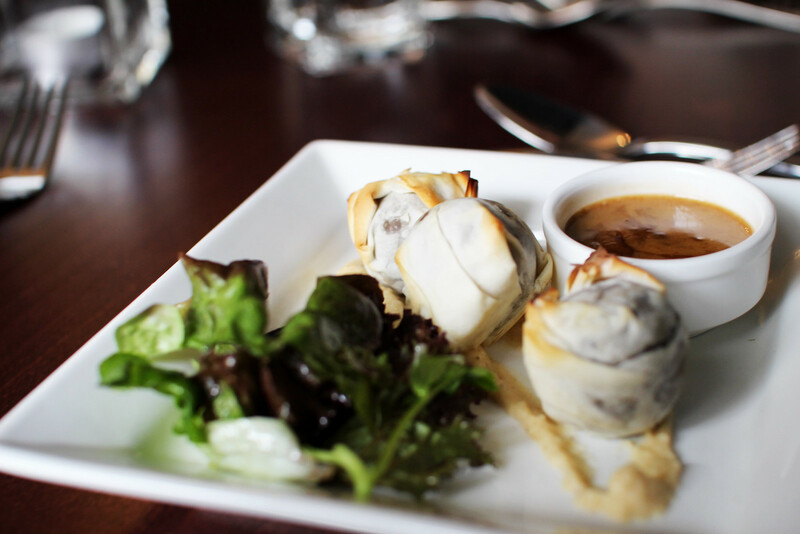 I decided on the haggis filo parcels with spiced turnip puree and whisky sauce for starters. 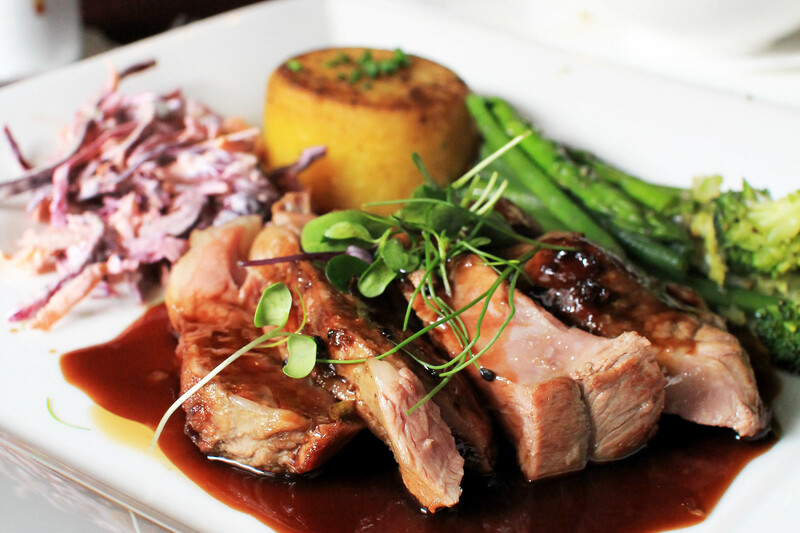 Lamb rump with red wine jus for mains. And we shared sides of saffron fondant potato, garlic buttered greens, red cabbage and chilli coleslaw. As if we couldn’t manage any more, we of course had room for dessert. No. 11 offered a ‘creme brûlée of the day’ and we were delighted to find that it was a rather quite creative, chocolate and raspberry brûlée. The food at No. 11 was really impressive. 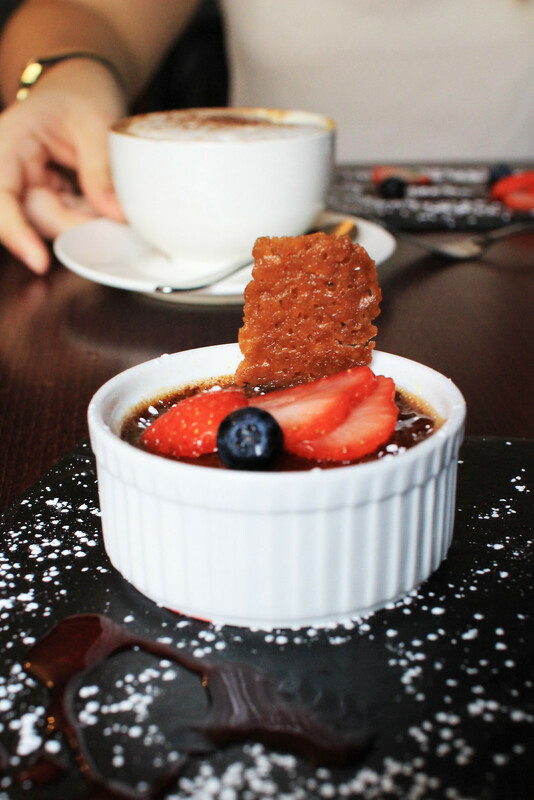 We were both delighted with the food we enjoyed there, and I’d have no hesitation in recommending it to others! It’s definitely worth a visit if you’re ever visiting Edinburgh, or looking for a new local spot! This was a complimentary meal provided by No. 11 for review purposes. All views are my own.